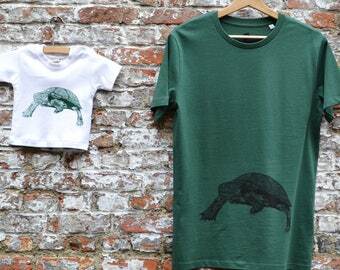 Matching outfit : Father and baby son or daughter T-shirts with weasel print by Art Effect Prints. 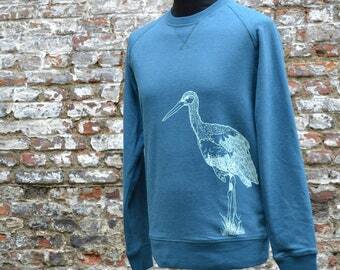 Eco-friendly and fairtrade clothing with an original Print! 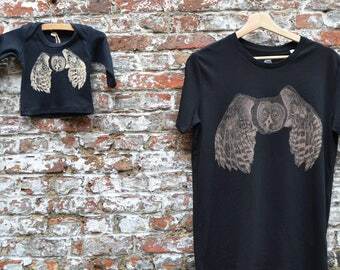 Nice gift for a (young) dad and his baby. The weasel illustration is my own design, I made it as a digital drawing. It is printed in one color, with waterbased ink, in Belgium. 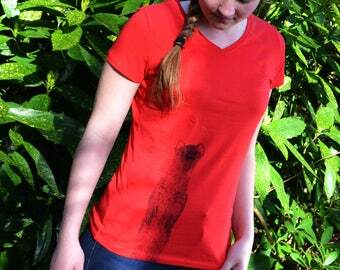 This men's T-shirt is 100% organic cotton, very soft. 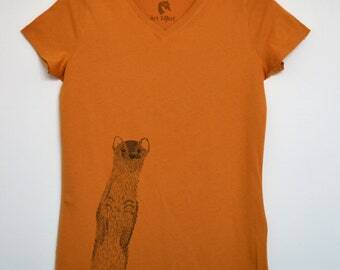 This model has a round neck and has a medium fitted shape. You can find the measurements in the last picture (with a size chart). 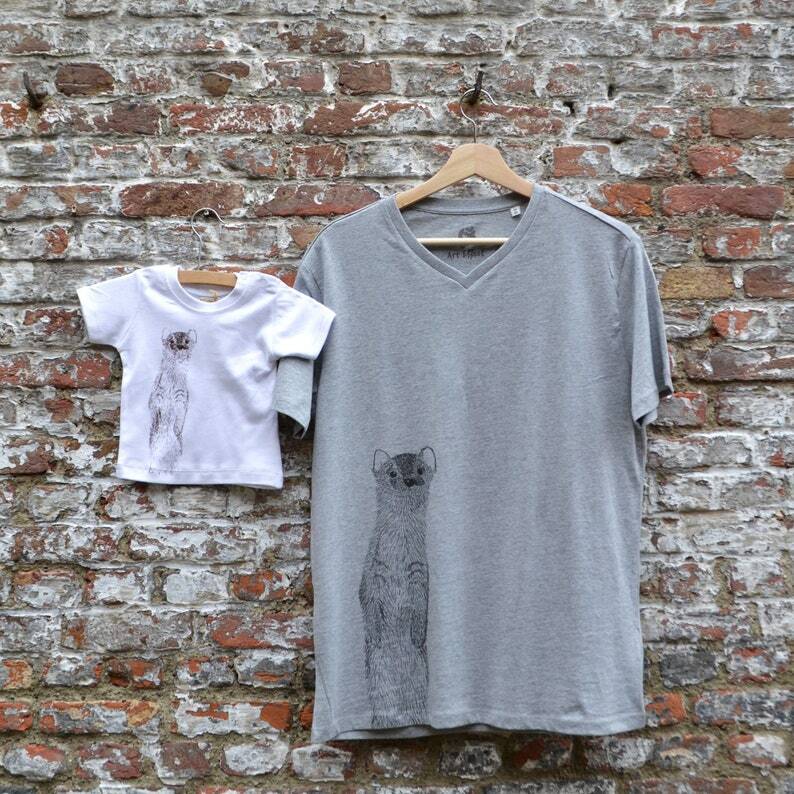 This white, pastel pink or blue baby T-shirt is eco friendly fabricated from soft organic cotton and screenprinted with dark water based eco-ink. 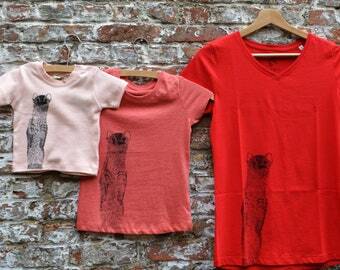 Printing (screen print) is done here in Belgium, Europe. More and more, I am inspired by nature and animals. One day we went to the Zoo in Antwerp and saw this turtle, that's how I came up with the idea of making a drawing of it and use that as a T-shirt-print design. Wash these T-shirts at 30°C. 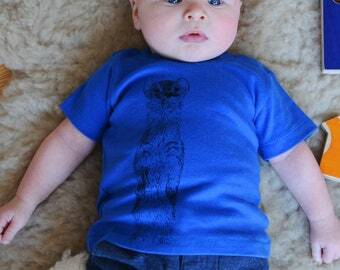 You will recive this T-shirt set, nicely wrapped, ready for gift-giving. Thank you for visiting my etsy-shop! Do you want to know more about Art Effect Prints? Don't hesitate to contact me if you have questions about my work.